The differences between the auctions in Geneva in May and in November are in far more than the weather! 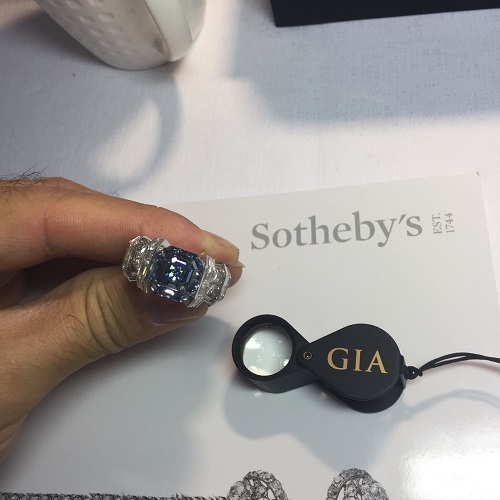 It was a lot of fun once again to spend 3 days in Geneva, examining and evaluating the interesting and unique fancy color diamonds that were sold by both Sotheby’s and Christie’s. Our presence there during the auctions allows us to test the waters and see how investors are bidding for items. On the 15th, it was Christie’s night to shine and at the end of the evening one thing was very clear. Investor appetite was limited as seen by the speed of the bids being given in and by the increment of the prices that were bid, and it was all confirmed further at the end once Christie’s published their statistics. The auction house ended with sales at about $97 million for the session compared to over $110 million to the same auction last year. Sotheby’s, on the other hand, proved to be more of interest to buyers, as bidders had an easier time raising prices for unique items. Sales totaled almost $138 million, compared to just under $140 million last year. 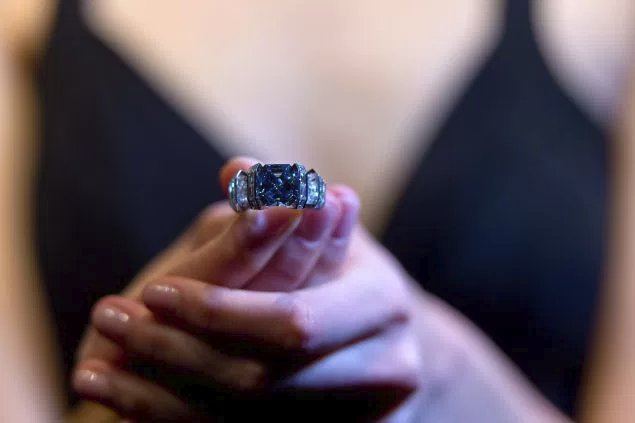 This year was actually much more of a success than last year, taking into consideration that last year a single blue diamond, the Blue Moon of Josephine sold for almost $48.5 million (which is included in last year’s $140 million total). In addition, Sotheby’s sold 87% of their auction catalog while Christie’s sold 77% (although 82% by value). In conclusion, Sotheby’s had a pleasantly successful auction in Geneva this November while Christie’s unfortunately had less so. Christie’s prime lot was the 9.14 carat Fancy Vivid Pink VS2 pear shaped diamond. 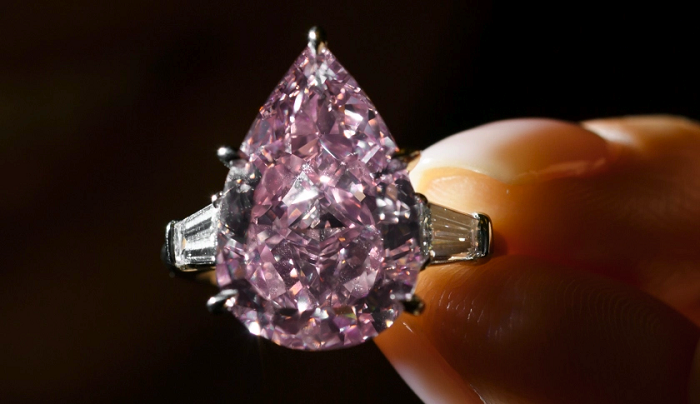 Its final price was $18.3 million total, or just under $2 million per carat, holding value strong for rare items. A few days later it was renamed “The Light of Memory”, by its purchaser, a yet undisclosed private Asian collector. The total price paid is now a new record for a pink diamond in the 5-10 carat size category. Sotheby’s had a few successful sales on the following evening. 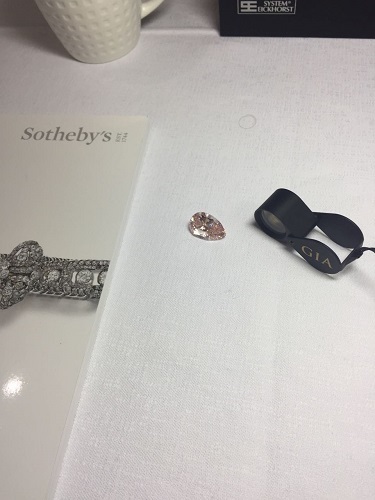 Graff Diamonds was fortunate enough to acquire 2 unique pink diamonds that were offered at that auction. 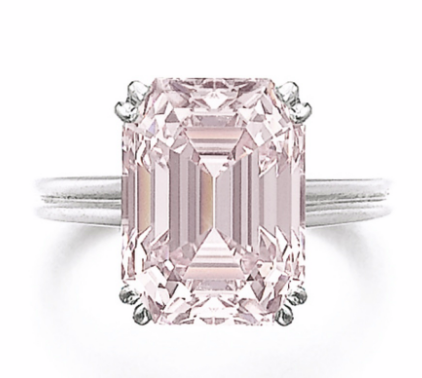 The first was the top lot, the 17.07 carat Fancy Intense Pink VVS1 emerald cut diamond. It was sold for $20,778,352 or $1.217 million per carat. 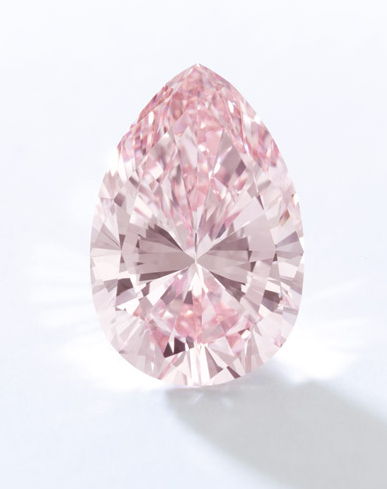 Graff also acquired the 13.20 Fancy Intense Pink IF pear shaped diamond for $16,232,308 or $1.23 million per carat. 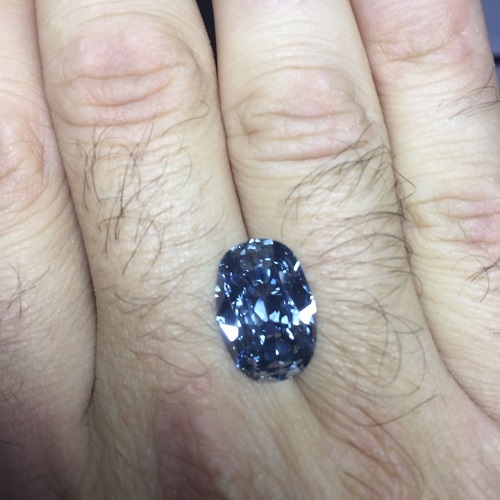 When a very well-known dealer such as Graff acquires these unique diamonds at auction, and in a public manner, it demonstrates confidence in the market and a desire for unique items. Let’s not forget that as Graff is a dealer, he will eventually sell these two diamonds to a private individual, and in the process will make a handsome profit (if he has not done so already…). That in turn adds additional value to these already important stones. The headliner of the evening, the one of a kind Sky Blue Diamond previously sold at auction back in 2012 for a total of $12 million. The 8.01 carat Fancy Vivid Blue diamond resold for $17 million, making a healthy 42% price increase over a 4 year period, or over 10% per year on average. 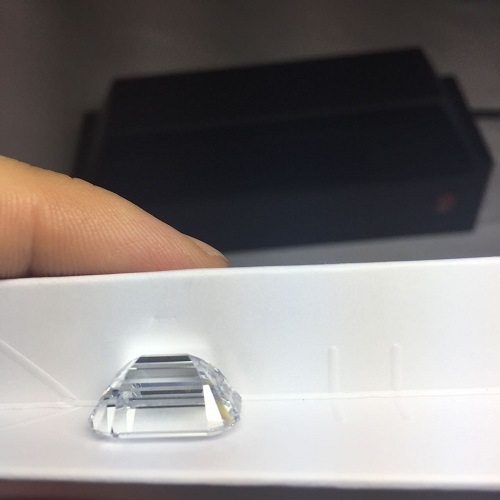 In case you are wondering about the investment potential of a diamond like this, the liquidity for such unique items is not difficult, even if some may think that current markets for diamonds are somewhat challenging. 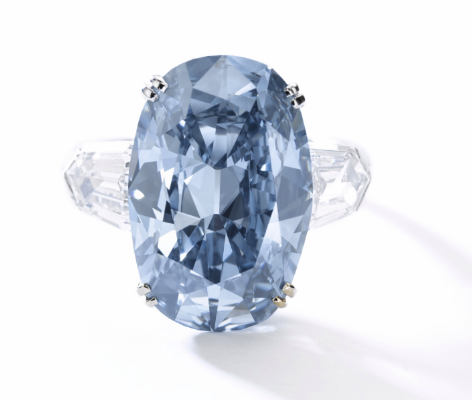 Sotheby’s has also broken a record for the most expensive Fancy Deep Blue diamond ever sold. Its 7.74 carat Fancy Deep Blue VVS1 oval shaped diamond sold for a total of $13,706,728 or $1.771 million per carat. The world record was for total price paid (not for price per carat). The current price per carat record holder is the 5.30 carat Fancy Deep Blue diamond that Graff acquired at a Bonham’s auction for $1.79 million per carat back on April 24, 2013. An 8.73 carat Fancy Intense Pink diamond with VVS2 clarity was sold for $4,277,896 or $490k per carat. this is a weak price if we only look at the color depth with which it was graded by the GIA. In reality, the price reflects the weak color that it had which was borderline Fancy Pink. If the pink diamond would have had a Fancy Pink color depth from GIA, then the $490k per carat, would have been a fantastic price. 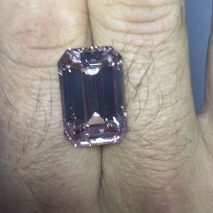 This is a great example of how an acquisition of a fancy color diamond can only be done after physically seeing the diamond. 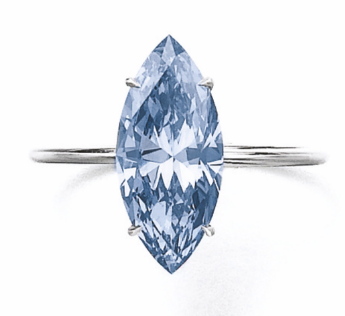 The 2.31 carat Fancy Vivid Blue marquise shaped diamond was sold for $2,886,021 or $1.249 million per carat. It set a new world record per carat for this 1-3 carat size category. This is the first time that this category has broken the $1 million per carat price level. Like the pink diamond mentioned earlier, this too demonstrates the strong value that rare diamonds like these are holding. 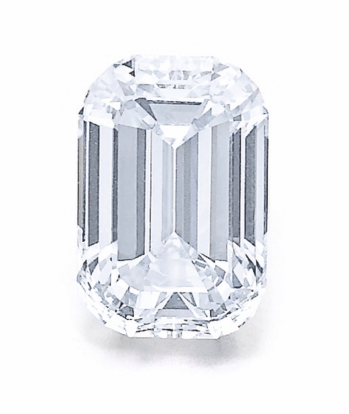 A last record broken that evening was for the total price of the 16.08 carat Fancy Light Blue emerald cut diamond. 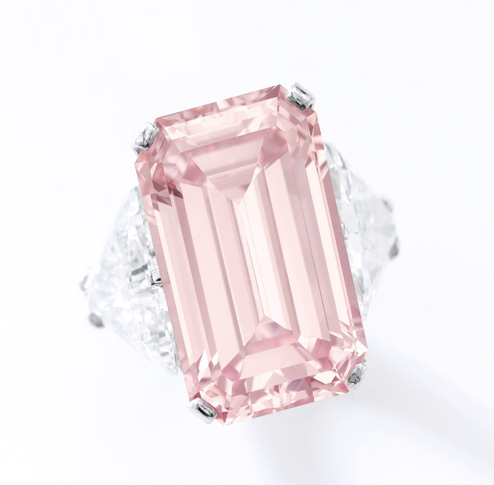 It sold for $2.167 million total or $135k per carat. This comes as no surprise seeing as how enormous this blue diamond is, even though it has been graded as a Fancy Light. 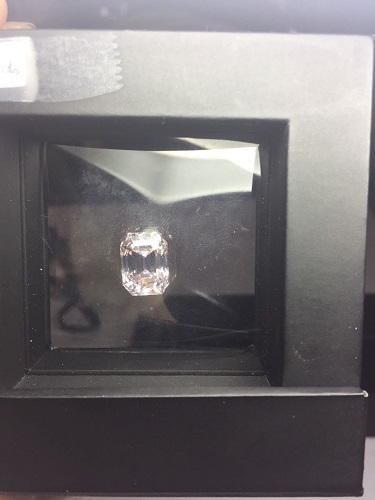 As many think and feel that the market is soft, even for fancy color diamonds, the auctions this past week have demonstrated quite the contrary. Market reality is quite the opposite, showing price strength, further world records set, and a continued appetite for unique and rare fancy color diamonds. Do you disagree? Tell us in the comments!